Having the right type of luggage for your Hajj or Umrah journey will provide you with a more comfortable travel experience and may also help you to avoid extra fees at the airport. 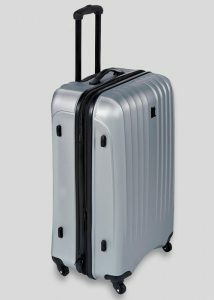 A good quality suitcase with a hard case and a built-in locking system is recommended. Avoid soft, vinyl suitcases as these can easily be cut open by thieves or ill-intentioned individuals. Despite the sanctity of the cities of Makkah and Madinah and the fact that criminal activity is severely punished by Saudi authorities, crime still exists in these places. Pickpockets and thieves often find it easy to target pilgrims due to the lack of precaution they sometimes take with their belongings. There will be many suitcases that look alike so mark it with something that makes it easily recognisable such as a bright coloured ribbon attached to the handle or fluorescent tape. Always keep your suitcase locked and don’t leave any money, important documents or other valuables in it. Make sure you’re present when your room is being cleaned by a hotel staff member to keep an eye on your belongings. Take two keys for your suitcase, keeping one with you in your waist pouch and the other in a safe place. It’s also a good idea not to take your favourite or an expensive suitcase as it will likely be knocked around during your journey and accumulate some wear and tear. Your suitcase should also be medium in size, with a maximum length of 70 cm. Travelling with large suitcases can be very difficult. Baggage allowances vary between airlines in terms of weight, dimensions and additional baggage you can take. Your ticket will indicate your baggage allowance. If you have any doubts about baggage, please check with your airline. If the information about your baggage allowance given by your travel agent differs with that of the airline, make sure you clarify this with your travel agent. Some airlines allow an increased baggage allowance during Hajj. Be mindful of taking more baggage with you for Hajj than what you actually need. During Hajj, airlines tend to be very strict when it comes to overweight baggage and charges for excess baggage at airports can be very high. Most airlines also allow hand / cabin baggage and some allow an additional item such as a handbag or a camera. Again, please check details about hand baggage with your airline. Sometimes the airline may allow a few extra kg during check-in, depending on the person serving you. However, you shouldn’t depend on this. If you’re leaving home with your baggage already at its maximum allowance, you will most likely be coming back overweight unless you don’t plan on bringing anything back or you choose to leave some of your belongings in Saudi Arabia. If you have done a considerable amount of shopping during your journey, there are facilities in Makkah which can arrange to have your baggage sent home prior to your departure. You’re likely to want to bring some Zamzam water with you when you depart from Saudi Arabia. A 5 litre round sealed bottle of Zamzam water can be purchased at the international airport in Jeddah for 9 Riyals per person, which is the cheapest and most authentic supply of the water. The same facility is offered in Madinah Airport if you’re departing from there. You won’t be allowed to carry Zamzam water purchased from anywhere else if you’re departing from either of the international airports nor will you be able to carry more than 5 litres. Please confirm with your airline whether Zamzam water is treated as part of your overall baggage allowance or if there is a separate additional allowance for Zamzam water. Airlines like Saudi Airlines and British Airways have a separate allowance for Zamzam water. Most internal flights within Saudi Arabia treat Zamzam water as part of your overall baggage allowance. If you’re not already travelling lightly, reduce your baggage and pack Zamzam water inside your baggage, bearing in mind 1 litre equates to 1 kg. If you exceed the weight limit, you will have to pay a fee. Send Zamzam water home as cargo at the airport. This can be expensive. Some pilgrims get away with packing extra Zamzam water in their hand baggage although this generally isn’t allowed. As a final point, make sure you don’t buy Zamzam water from street vendors. These vendors sometimes sell Zamzam water mixed with tap water, which is unsuitable for consumption in Saudi Arabia. Their prices also tend to be higher. This is an illegal practice according to Saudi law. Lost baggage can prove to be highly irritating and a very unpleasant experience. However, if you have lost your bag, try not to panic as all major airlines use a tracking system which will track baggage for 100 days using the information you provide about the bag. The vast majority of misplaced baggage is returned eventually, taking a few hours if they’re on the next flight or a few days if they’ve been sent to the wrong airport. The address of your hotel in Makkah or Madinah. A contact number through which you can be reached. A room number (contact the airline and provide them with this after you have checked in to your hotel). Before you leave the airport, make sure you’re provided with a reference number and a means of checking the status of your lost baggage. Some airlines provide an online system whilst others provide a phone number you can call to receive updates. Under normal circumstances, the airline will bring your baggage to your hotel room when it is found. They also tend to reimburse expenses associated with the loss or delay (ensure you keep your receipts). However, in many cases, particularly during Hajj, pilgrims are generally inconvenienced with having to go back to the airport to collect baggage. This can be very difficult, particularly if you’re in Madinah and your baggage is in Jeddah, 450 kilometres (280 miles) away. Sometimes, pilgrims don’t receive their baggage until after Hajj. Mark the outside and inside of your bags with your name and contact number. Put a copy of your itinerary in each checked bag so the airline can locate you. Avoid very late check-ins – your bags may be put on the next flight. Make a packing list before you travel – this is an easy way of recollecting all the items you put into your bags and can be provided to the airline in the event your bags are lost. At check-in, make sure the correct destination tag / sticker is attached to each bag. Keep the claim ticket that you receive with each bag – you will need this in the event of a loss. Make sure you note down the size, colour and the brand name of your bags as well as any other identifying features before you travel. It is generally a good idea to pack a change of clothes and underwear in your hand baggage so that you’ll have something to wear if your baggage is delayed. If you still haven’t been reunited with your baggage before returning home, make sure you get a written claim for damage at the airport. This may be different from the original form you filled in to report your missing baggage. 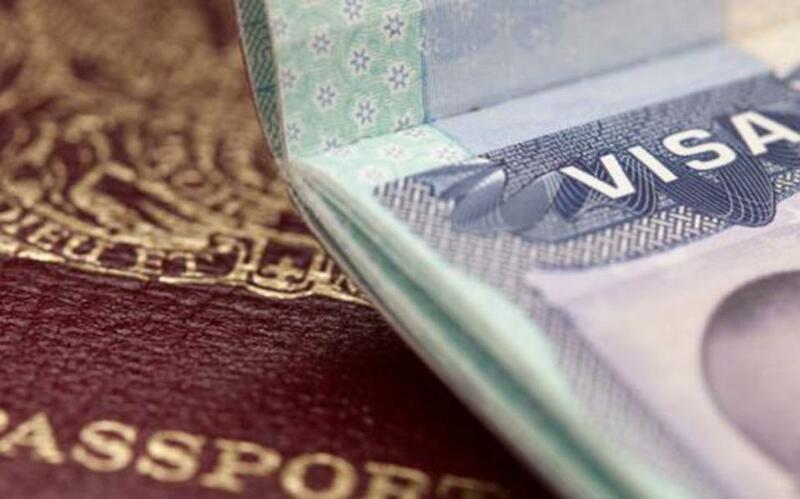 Additionally, taking out travel insurance is the best guarantee of recouping any losses. 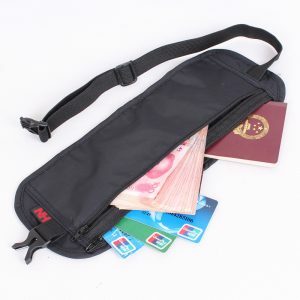 Keep your valuables such as money, documents, debit / credit cards and keys in a good quality waist pouch or neck pouch. Ensure you don’t carry all of your money with you all the time; you should only carry enough money for your needs on that particular day. Leave the rest of your money and other valuables locked in the safe in your hotel room or at the reception desk for safekeeping. Wear your pouch at all times and ensure you don’t leave your accommodation without it. Be vigilant of pickpockets and thieves, particularly in crowded areas. There have been reports of pouches being stolen even during Tawaf. Holding on to your pouch in crowded areas is a good way of ensuring it doesn’t get stolen. A shoe bag is useful to keep your shoes / sandals in when you’re in the Haramain.